Amanda Oakleaf Cakes has recently teamed up with Princess Sharon Events to offer the most amazing parties. To quote her site, “Princess Sharon provides musical, magical, upscale themed birthday parties and special events for children, tweens, teens and adults in and around Boston…” She brings the party decorations, costumes, games and even music to you. You can also contact her about getting a custom Amanda Oakleaf Cake as a delicious centerpiece at your party. We design these cakes to specifically match the theme of your party. 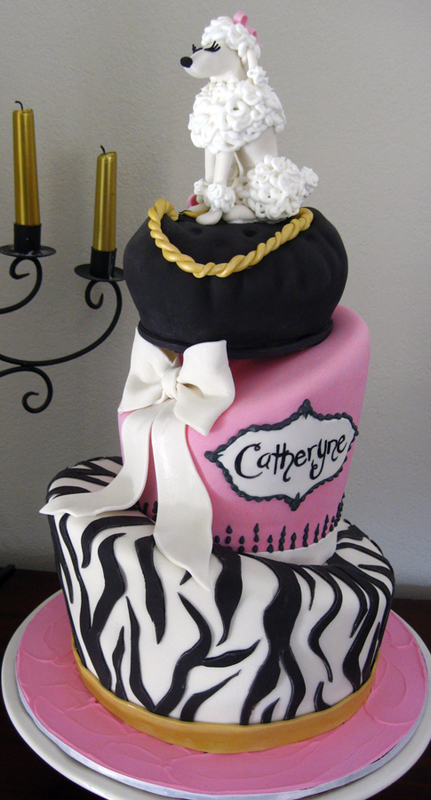 For example, the cake below was for a Poodle in Paris/Fashion Diva party. Below is a close up of the sugar poodle figurine. 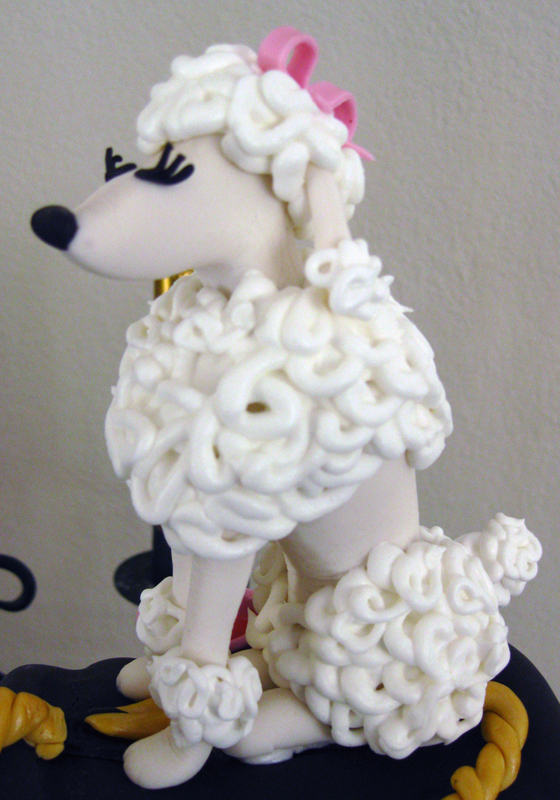 @Denise, The poodle is sculpted out of gumpaste, and the fur is piped on with royal icing. Best of luck! Awesome poodle,i love the it,and i love the cake they go beautiful together.